This Homemade Makeup Remover Recipe is perfect for keeping your skin soft and clean. If there’s one thing (besides brushing my teeth) I try to do before bedtime, it’s remove my make up. Sometimes I’m in a good groove and do it every single night for months on end and other times I fail miserably and forget for a week. Then I wake up feeling all gross and crusty, and quite honestly, dirty! Make up remover can be costly and I found this 3 ingredient recipe and knew I had to try it. It sounded too good to be true. I was very skeptical at first about using olive oil on my face. I thought it would leave me feeling greasy, but it cleans well and makes my skin feel great. Not greasy or shiny, just clean. Olive oil also works very well to sweep away stubborn eye make up. I wear waterproof mascara and this homemade make up remover works wonders to remove my make up and still manage to feel delicate and not like it is stripping my skin of it’s natural oils. This homemade make up remover uses just 3 ingredients to strip away your make up while being delicate on your face. Combine all three ingredients and mix well. Pour into a small container. Shake well before using and apply a small amount to a cotton ball. Smooth over skin to remove make up. If you are new to using essential oils make sure you sign up for our FREE Essential Oils eCourse! You can take this Free class to learn exactly how we use Essential Oils in our home. You can also get a FREE $20 Amazon.com Gift Card right now when you purchase an Essential Oils Starter Kit which is the BEST Deal on Young Living Essential Oils! Get all the Details on How to Buy a Young Living Essential Oils Starter Kit Here. If you are new to using essential oils make sure you sign up for our FREE Essential Oils eCourse! You can take this Free class to learn exactly how we use Essential Oils in our home. 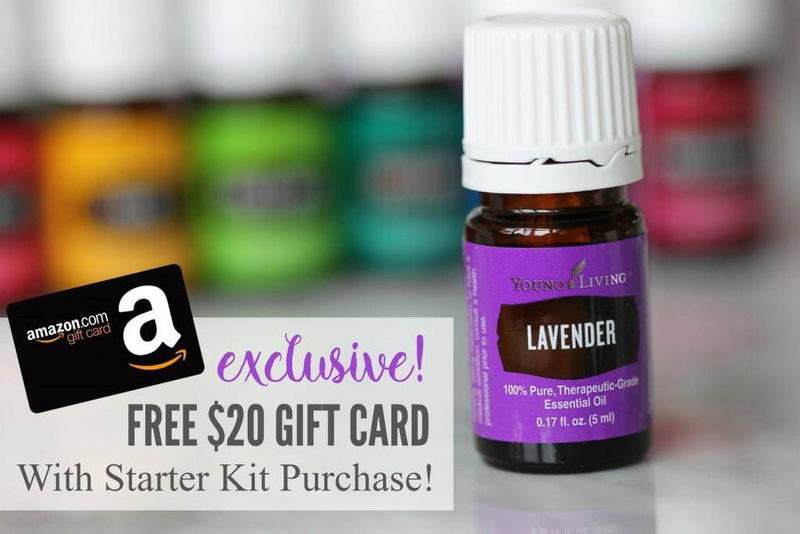 You can also get a FREE $20 Amazon.com Gift Card right now when you purchase an Essential Oils Starter Kit which is the BEST Deal on Young Living Essential Oils! Get all the Details on How to Buy a Young Living Essential Oils Starter Kit Here.